Episode 78 features professor of political theory, Robert Garner. 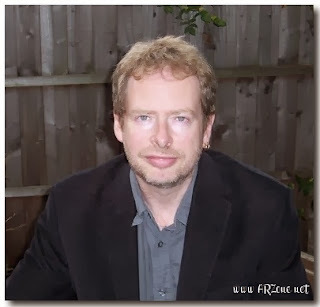 Rob Garner is professor of political theory at the University of Leicester in the UK who has, for more than two decades, specialised in animal rights. In this interview, Prof. Garner speaks with ARZone about his recently published book A Theory of Justice for Animals. He explains why Animal Welfare fails to protect the interests of other animals, why "species egalitarianism" (or abolitionism) will not achieve its goals, and why conceiving of animal rights as a political matter of justice affords us the best chance at creating a better world for animals. Audio podcast, approx. 54 mins. Rob Garner obtained his BA from the University of Salford and his MA and PhD from the University of Manchester. A professor at the University of Leicester, the focus of his principal research interest has been on the political representation of nonhuman interests. He is the author of 6 books in this area, including A Theory of Justice for Animals (2013), The Animal Rights Debate: Abolition or Regulation? (2010, with Professor Gary Francione), Animal Ethics (2005), The Political Theory of Animal Rights (2005), Animals, Politics and Morality (2004) and Environmental Politics: Britian, Europe and The Global Environment (2000). Any chance you can check it out, or re-post it?